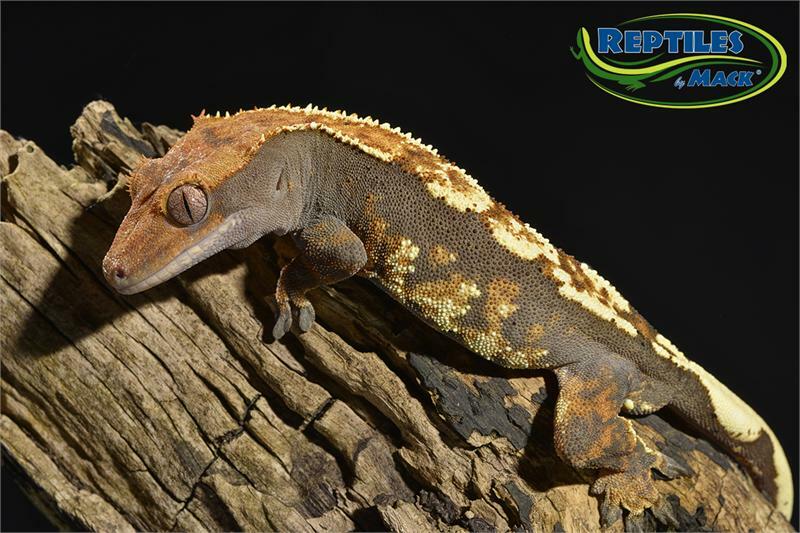 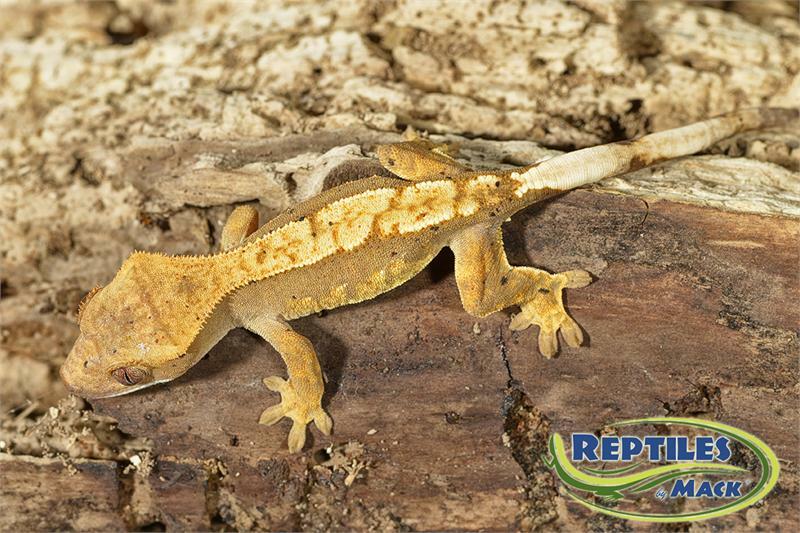 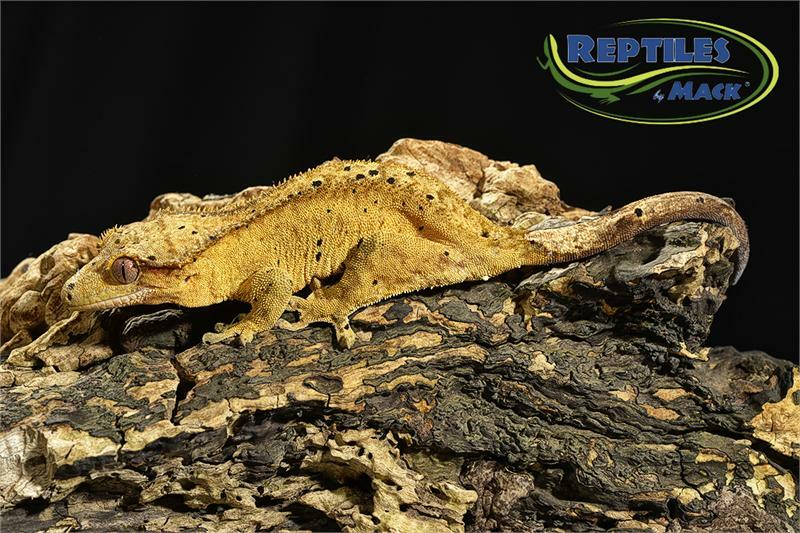 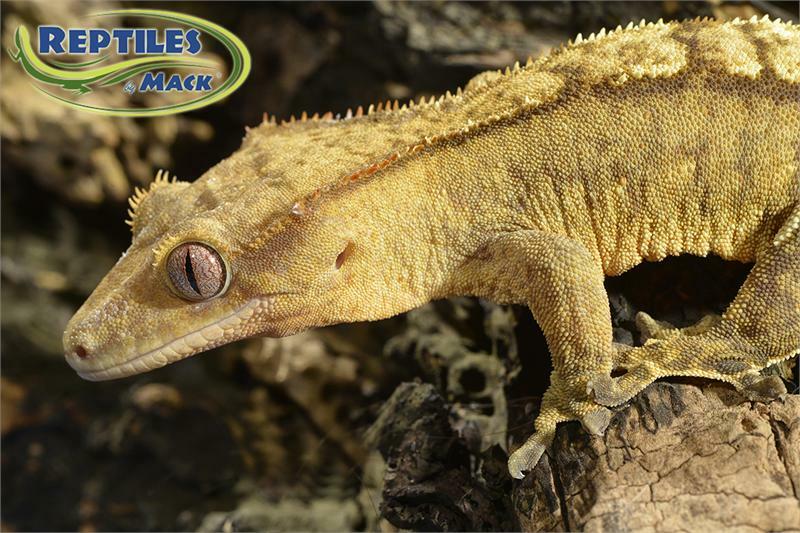 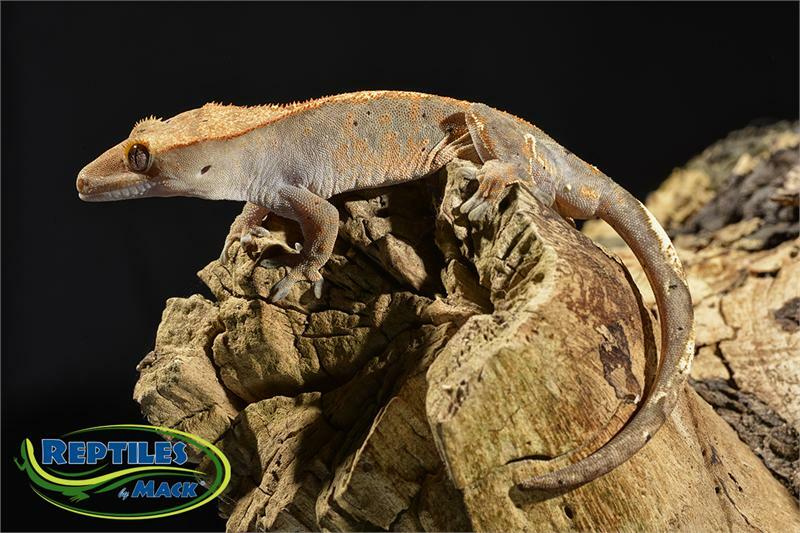 Our Crested Geckos are captive bred here at Reptiles by Mack. 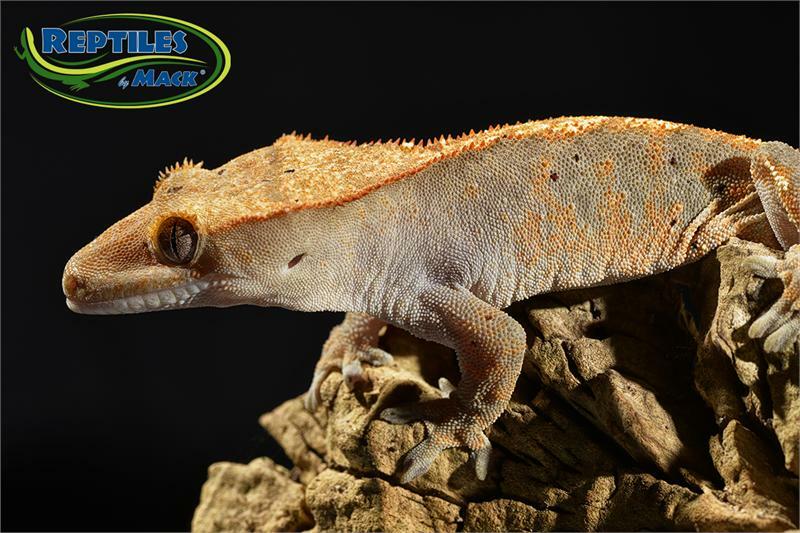 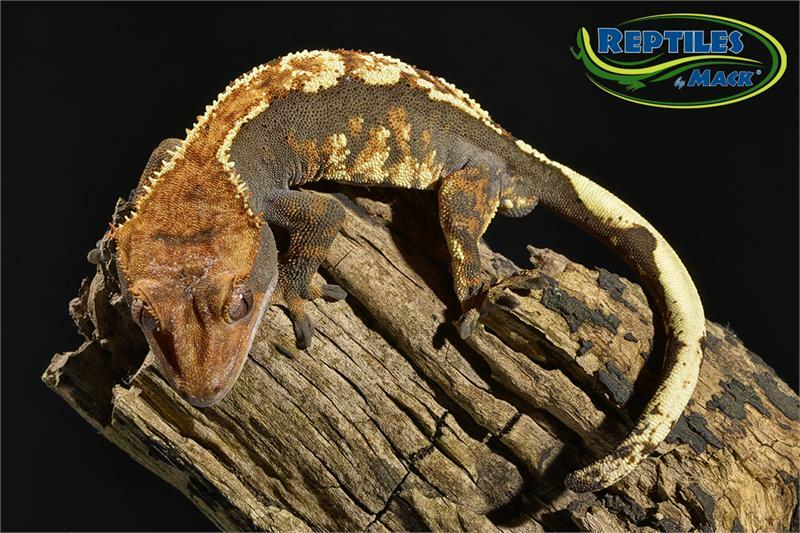 Crested Geckos make very good pets because they are extremely hardy, easy to keep and handle, and come in many different beautiful colors and patterns. 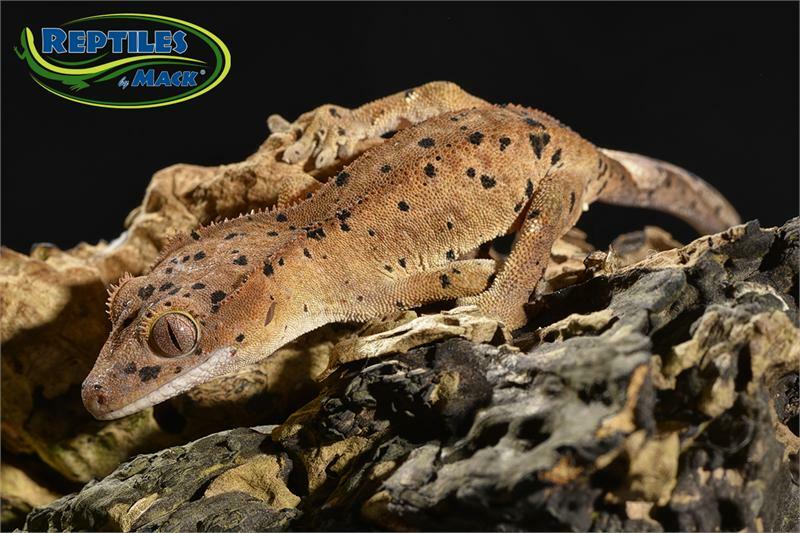 They are nocturnal and will spend most of the day sleeping. 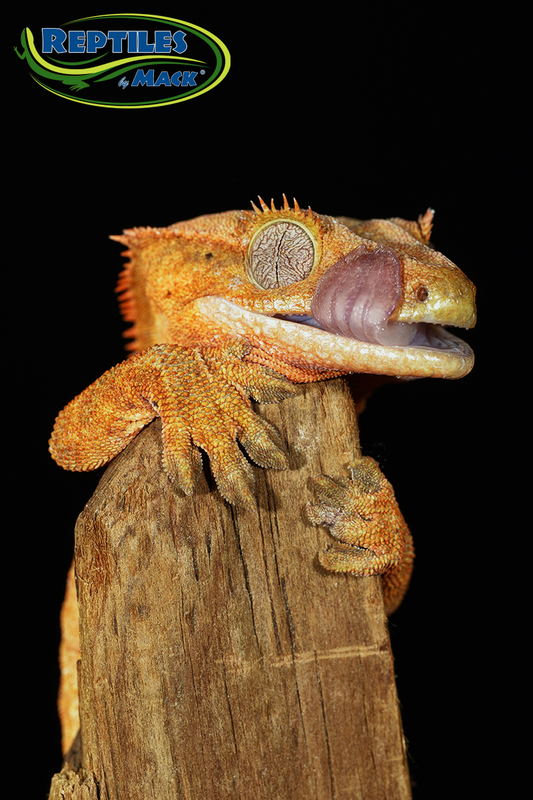 Once awake in the evening they are very entertaining. 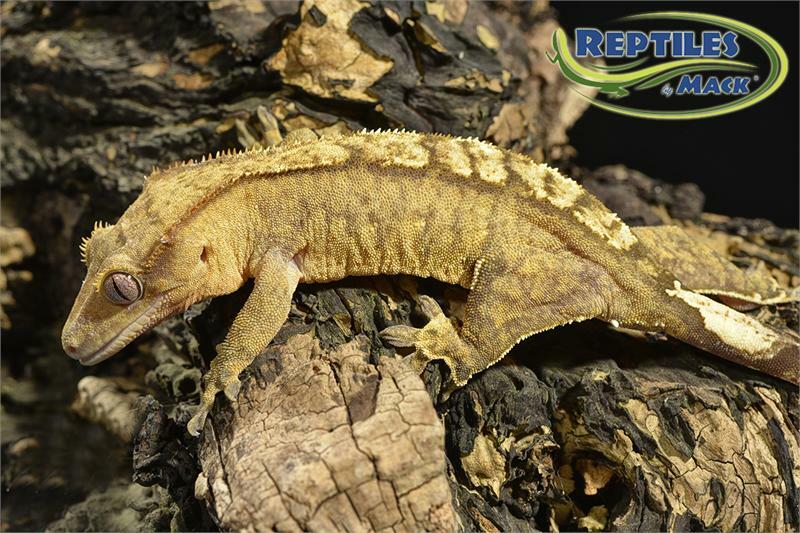 They are great jumpers and can tolerate limited gentle handling. 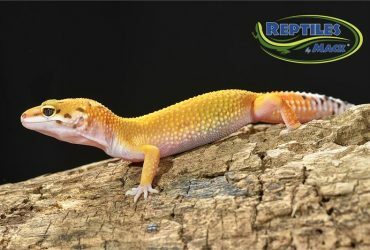 Be careful of their tails. 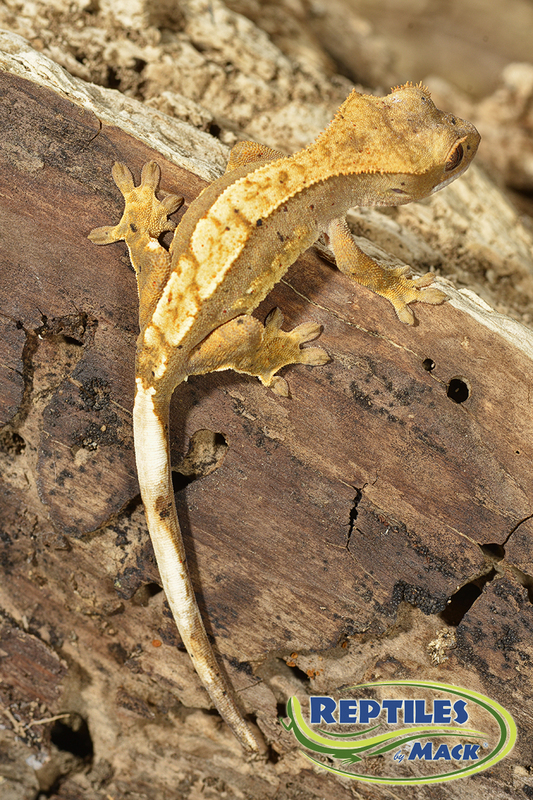 When they have a fall or are very stressed, their tails will pop off. 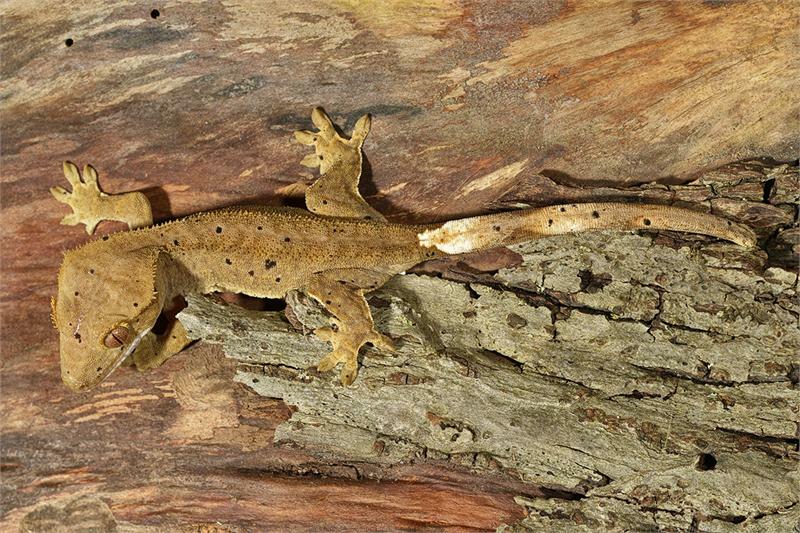 If a tail gets broken or detached, these geckos will not regenerate a new tail. 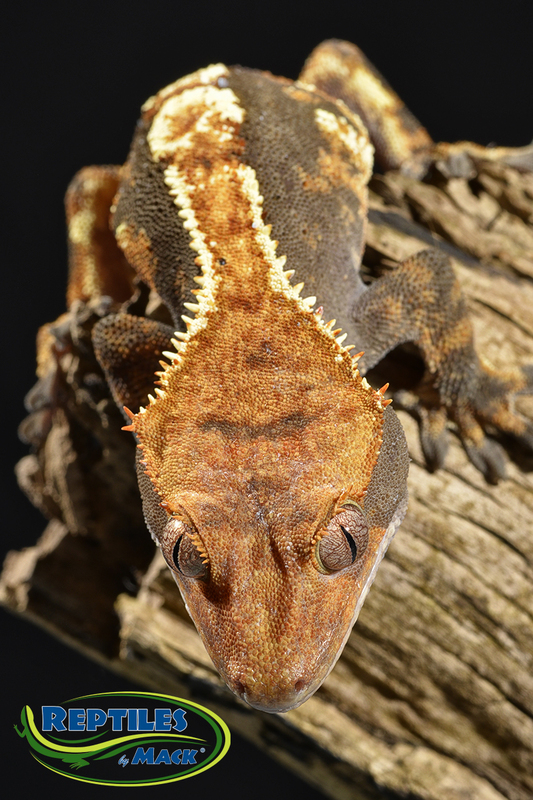 The Crested Gecko will look a bit odd, but it will be okay. 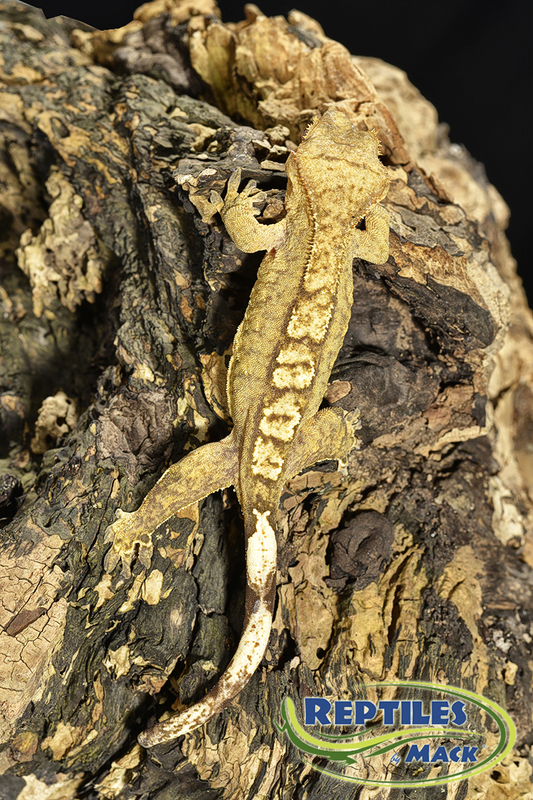 Enclosure: Young Crested Geckos can be kept in a small 1-2 gallon cage until they are about 5 inches. 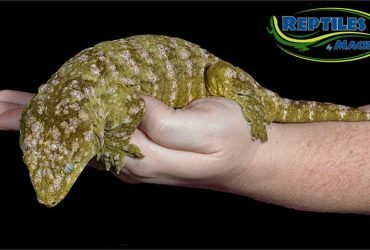 Large enclosures should actually be avoided for geckos less than 5 inches because the small gecko will have trouble finding their food. 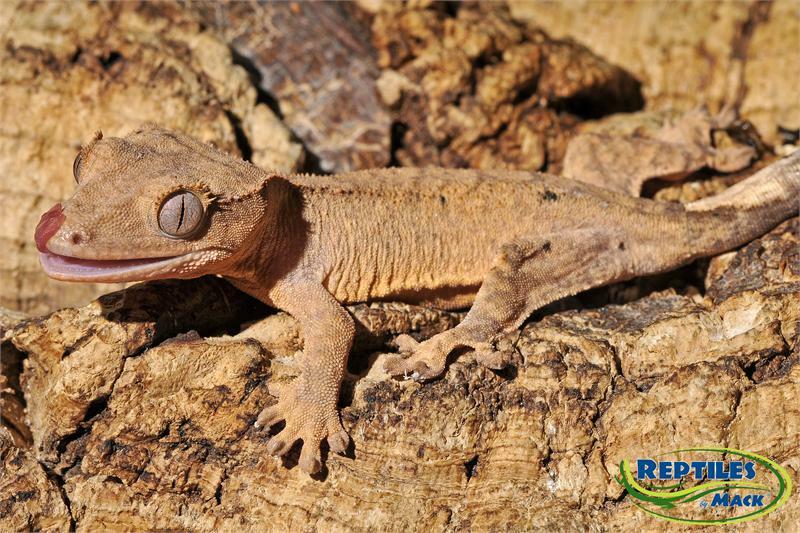 A single adult can be housed in a 20 gallon terrarium, or in a screen cage 1 foot long X 1 foot deep X 2 feet high. 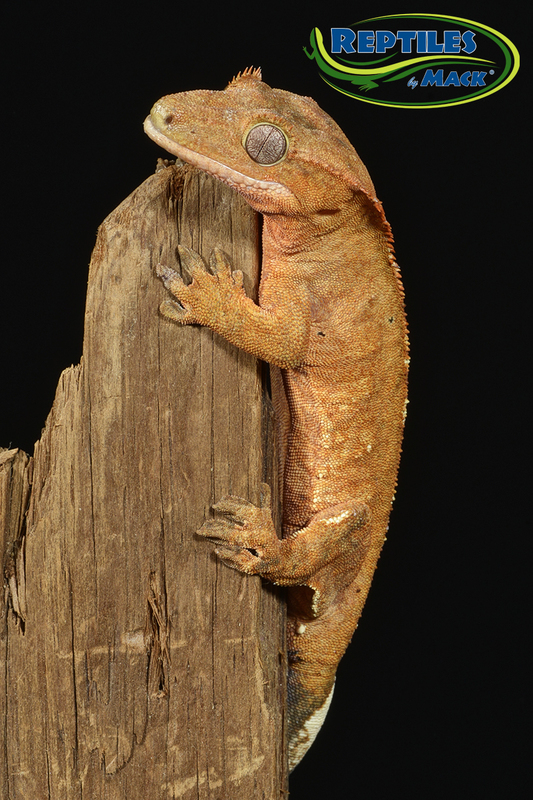 Choose a cage that is tall so the gecko will have room to climb. 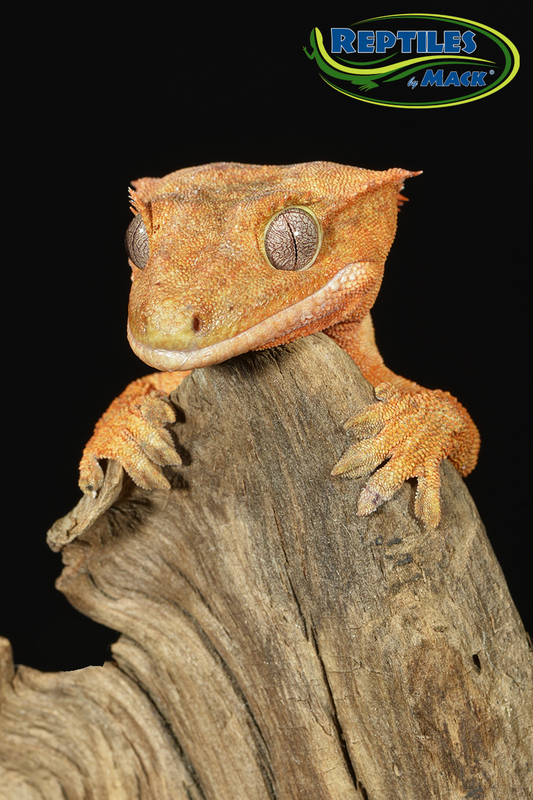 If you have more than one Crested Gecko, do not house males together because they will fight. 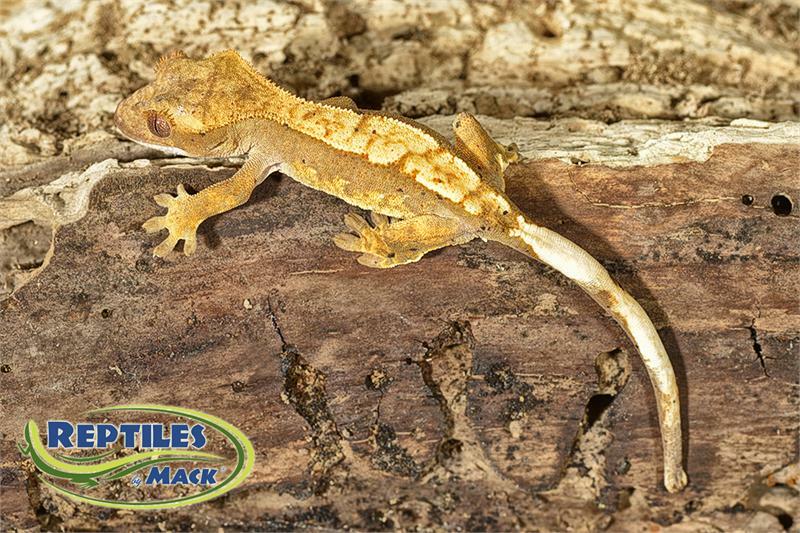 Juveniles should be kept in groups of animals the same size because larger ones will usually bully the smaller ones. 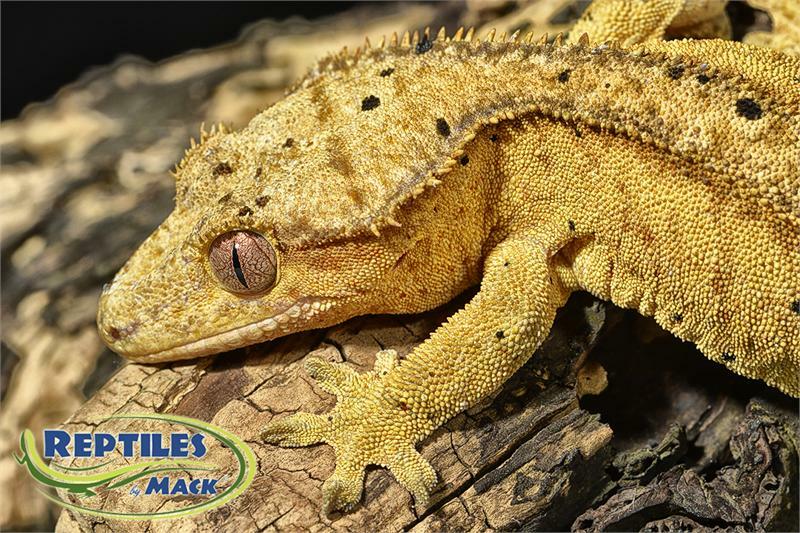 Substrate: You can use cypress mulch, aspen shavings, dampened sphagnum moss, potting soil with no chemicals or perlite, unbleached paper towels, and pelleted paper. 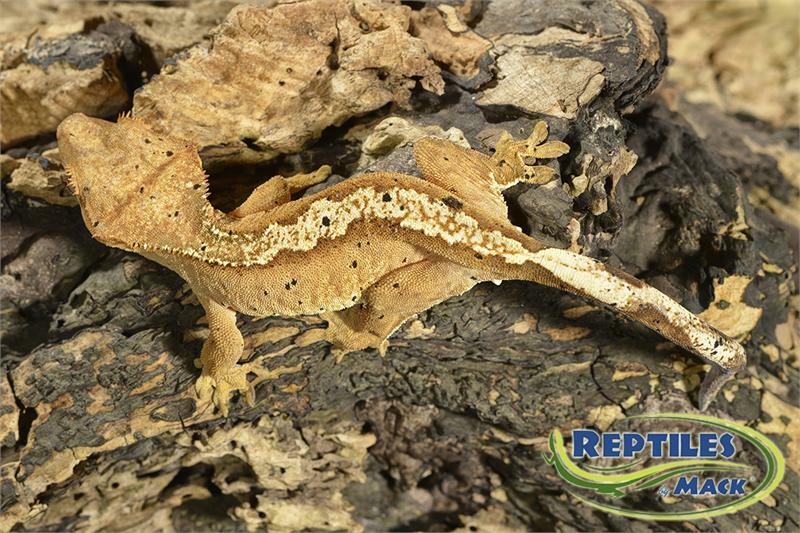 Habitat: Crested Geckos love to climb so provide branches and shelter for hiding. 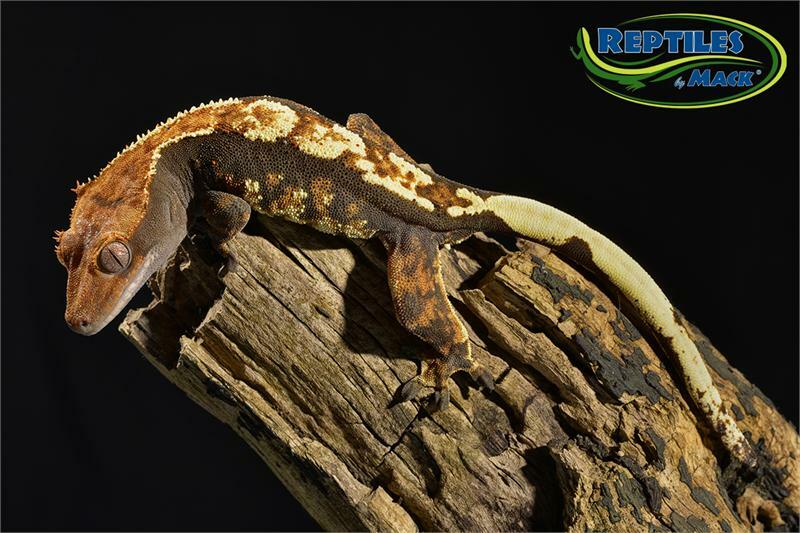 Live non-toxic plants can be used. 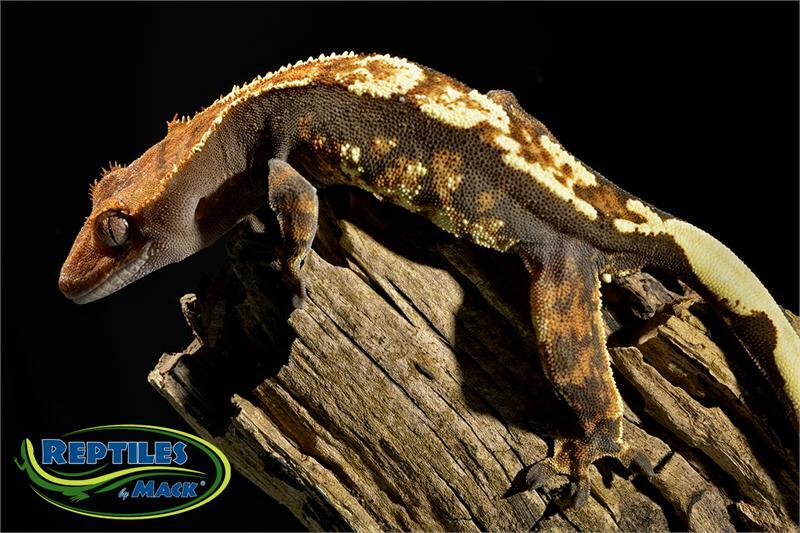 Mist every evening to maintain a humidity level above 50%. 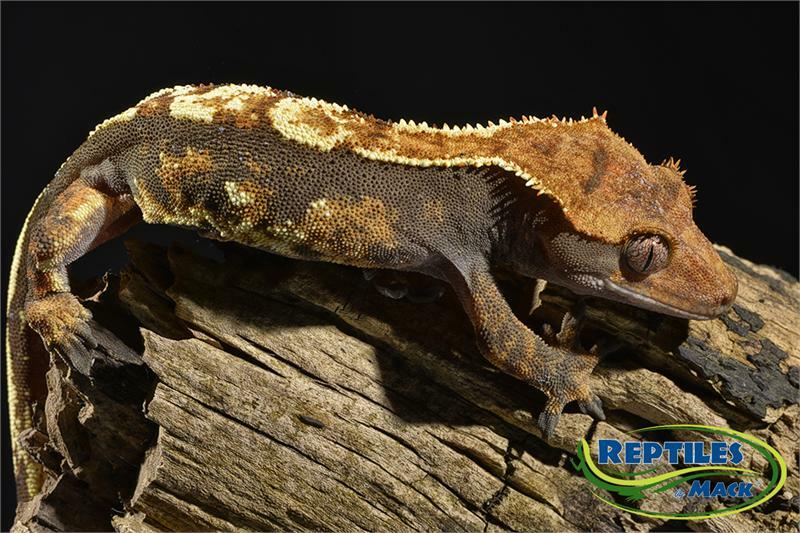 Temperature and Lighting: Temperature during the day should be kept around 75-80° F. Night temperature should be between 68-75° F. Radiant heat is recommended, and you can provide low wattage heat lamp if needed. 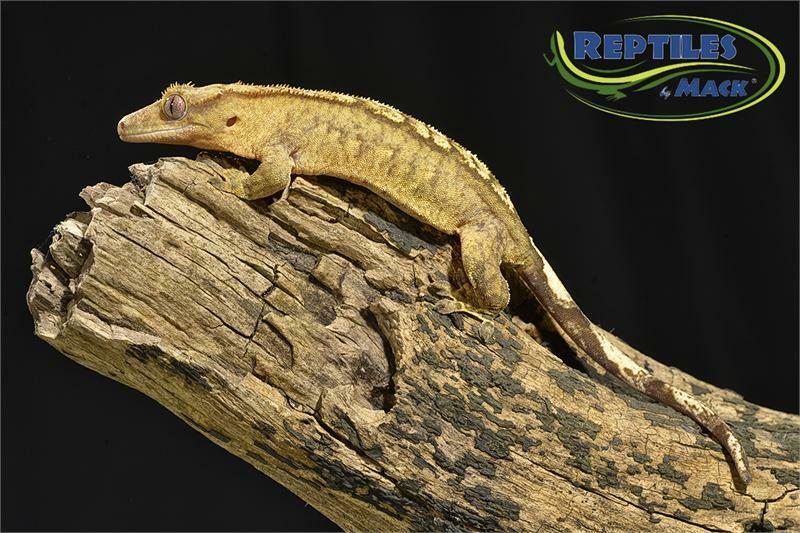 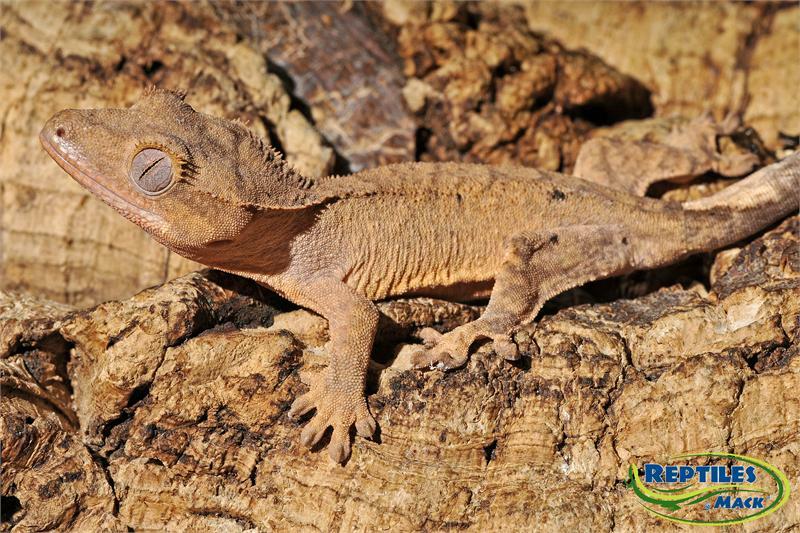 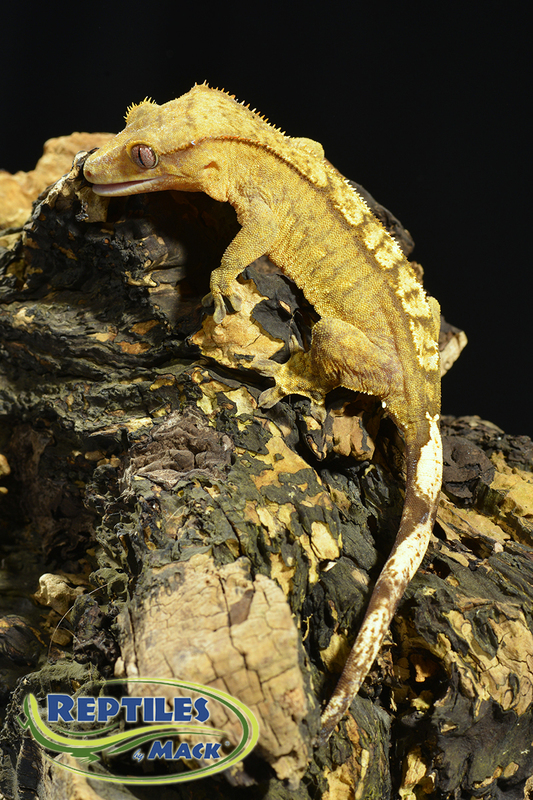 Crested Geckos need 10-12 hours of fluorescent light to provide a day/night cycle. 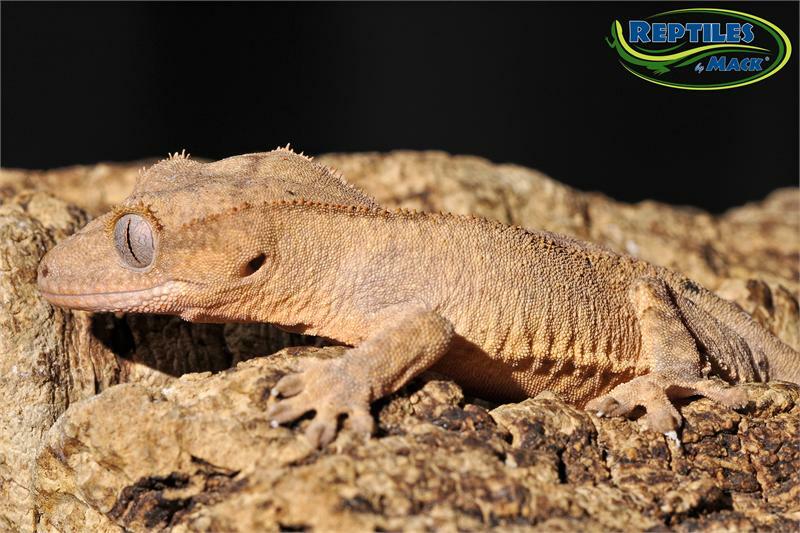 Because they are nocturnal, they do not require any special UV lighting. 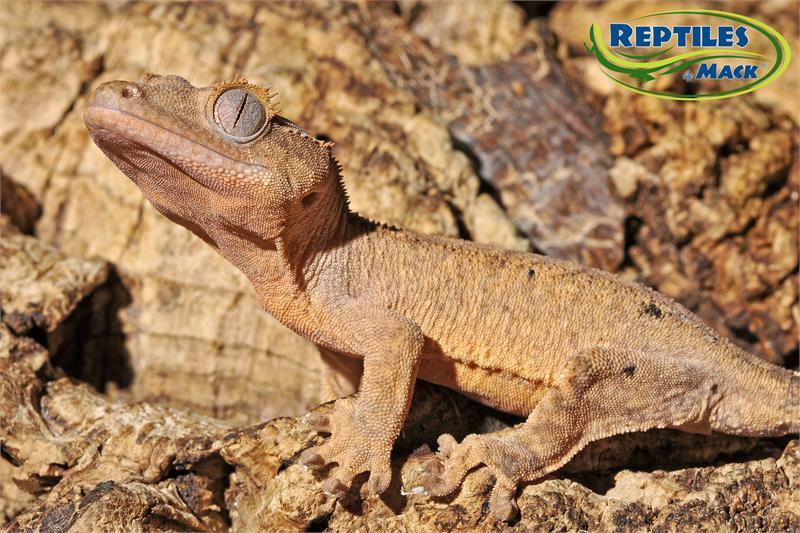 Food and Water: Provide fresh dechlorinated or spring water daily. 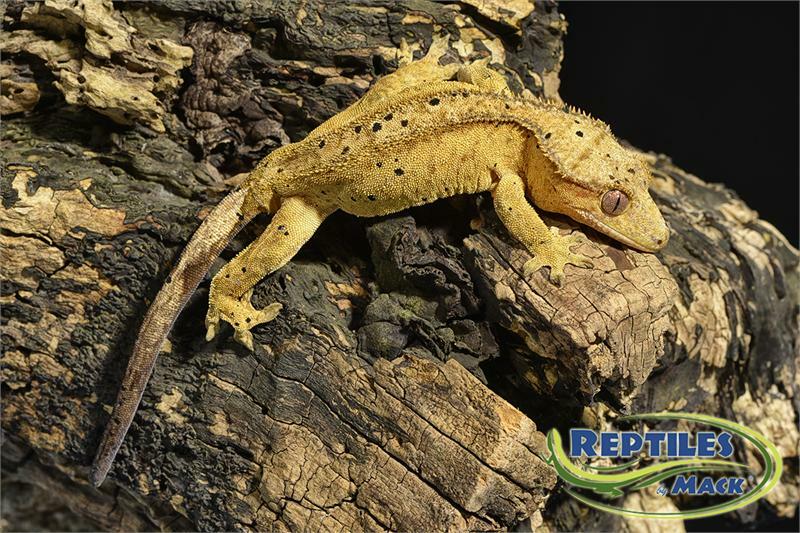 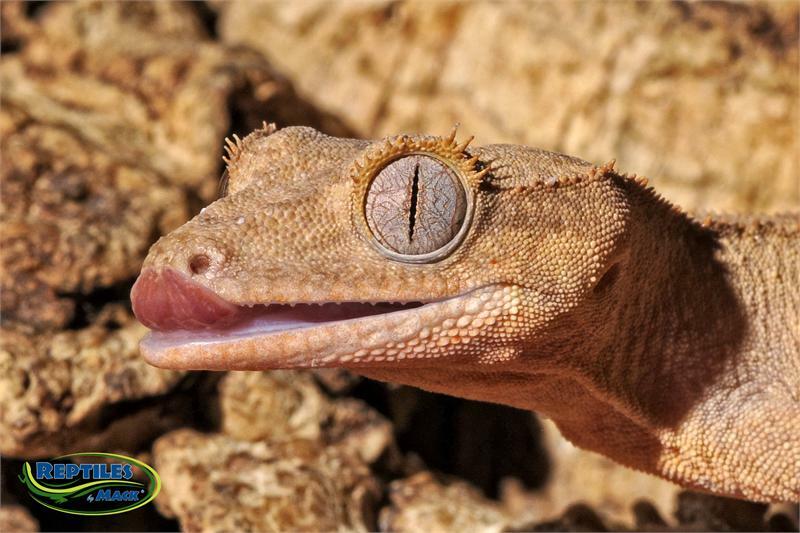 Feed your Crested Gecko a variety of insects including crickets, mealworms, waxworms, and fruit (peach, banana, mango, etc.) 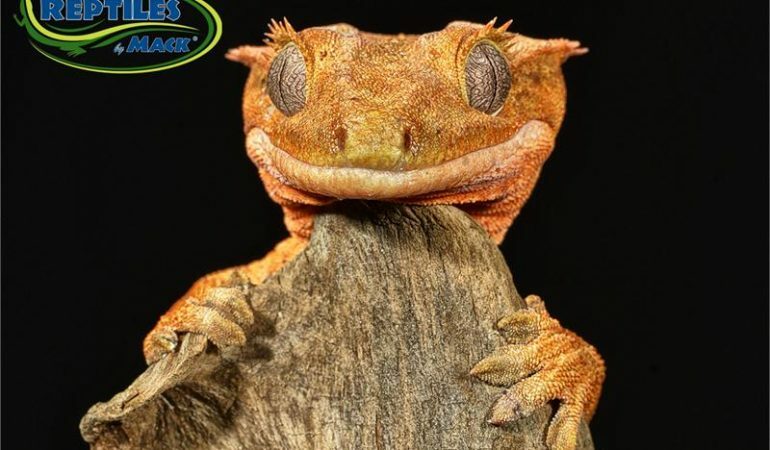 baby food 2-3 times weekly. 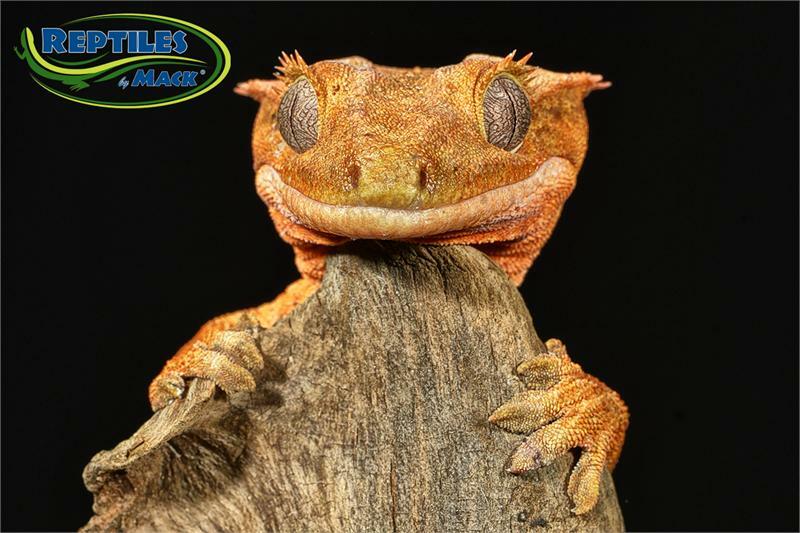 There is also a commercial Crested Gecko food available that many gecko keepers use. 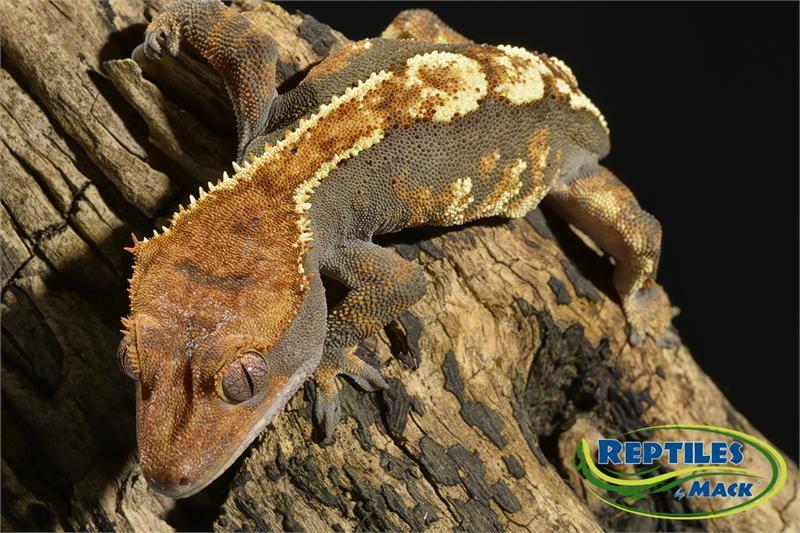 Feed your Crested Gecko every night and remove uneaten food in the morning.